Sony's Xperia line contains a battery management tool called Stamina Mode. When enabled, this allows the standby time of your Xperia phone to increase by as much as 400%. What kind of witchcraft or black magic has Sony called upon for this? Actually, it is pretty simple technology. By cutting back on the background activities of the phone, the battery gets to have a little siesta now and then, without having to turn on the juice like a sprinter who sees the finish line in sight. With the Stamina Mode on, your apps will not sync, check for notifications or incoming messages when the screen is off. Usually, those activities can munch on your battery, even with the phone in your pocket and the screen off. Stamina Mode also blocks data traffic and prevents it from waking up your phone. You will still receive calls, SMS messages and MMS notifications. Alarms will still ring, the native calendar app will work, and the LED light will only work to inform you about a low battery. According to a tweet from tipster @Ricciolo1, once the Sony Xperia Z5, Sony Xperia Z5 Compact and Sony Xperia Z5 Premium are updated to Android 6.0, the Stamina Mode will be improved, making the Batteries "Real Champions." A 2900mAh juicer is inside the Xperia Z5, and a 2700mAh cell powers the Xperia Z5 Compact. A large capacity 3430mAh juicer powers the Xperia Z5 Premium. 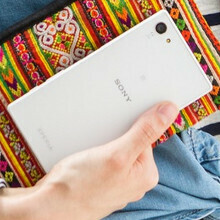 Sony says that the Xperia Z5 models can run for as long as two-days between charges. Sony Xperia has always been the longest lasting flagship phone. Complete beast mode. Flexible is not efficient. Efficient is not flexible. See this is how trolls work, they always omit the most glaring points. To a skim reader they'd be like "Oh wow the Windows phones like 1520 are so good to have to much battery", but in reality the 1520 is fking huge, so fking big it makes the LG v10 look small. No your windows phone isn't battery efficient. But as an android user of a nexus 5 ie plain android, i am hugely disappointed by the battery life. It loses power doing nothing. it is the same with my Galaxy tab s 8.4. I have XPosed with XPrivacy and it shows the huge amount of activity going on at all times, including by apps that are not switched on, haven't been used since last reboot, and are supposedly being prevented from booting by bootmanager. I got a Lumia 640 on loan for a fortnight, and it easily lasted the day and once I didn't charge it and it lasted two. During that fortnight I was using it heavily, and not using my n5 or using my tablet as much as normal. If the apps I like were on Windows I'd jump like a shot. That's just your anecdotal evidence meaning absolutely nothing. I've had my Xperia Z2 last 7 days before, yet I never brag about it because it's a once off experience that isn't true on average. Stamina mode will stop most background activity and restrict network, but your notifications still come through, just not in real-time because it will open wifi/data for example every 3-5 minute to check for notifications and such instead of all the time. You can whitelist important apps that you need constant noti to. Besides, when screen-on, there's option to partly restrict device power consumption (i.e. lower performance) to increase battery usage. It's great implementation. Yeah, I have a Z3C and I can say I don't know where this nonsense about android having bad battery life comes from. Standby losses are minimal, and usage is great. With the modifications I've made, even after a year of active use, it is more efficient than stock configuration. with the latest update on S6 and Note 5, they have the same functionality. In fact, you can change that on per-app basis. About checking for notifications once in a while, you can use the app tasker. You can code it to your heart's desire. I set the auto-sync to sync for 2 minutes every hour. Just delete Facebook. Instantly get 15% battery life. It's obsene how that app operates. It drains battery like sh!t. I mostly use my browser to access facebook. Thank you PA for banning glgbnaf69:) Some people just can't carry a normal conversation without name calling or use offensive languages, cheers!